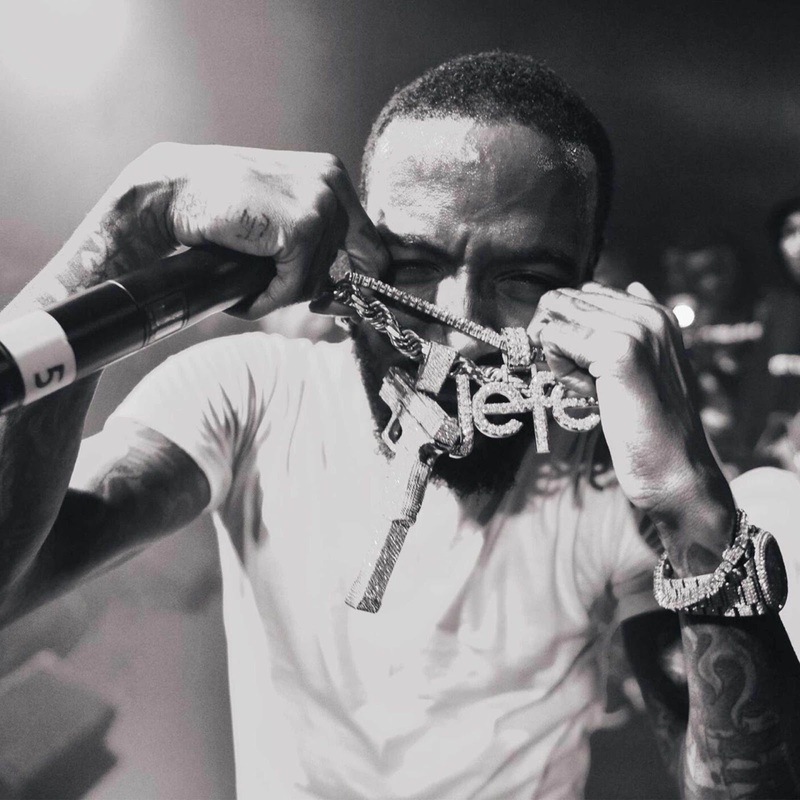 DC's finest, Shy Glizzy released his 12th project, Quiet Storm and the "Take Me Away"
The 18-track record features guest appearances from New York's breakout artists, Dave East and A Boogie Wit Da Hoodie, R&B crooner, Trey Songz, Bigga Rankin, Glizzy Gang's 30 Glizzy, 3 Glizzy, Goo Glizzly, and DF Glizze. The project's amazing production is provided by some of the industry's hottest producers such as Zaytoven (Gucci Mane, 21 Savage, Migos), Cardo Got Wings (Travis Scott, Drake, Kendrick Lamar) and TM88 (Lil Uzi Vert's "XO Tour Life"). To date, Quiet Storm is Glizzy's best body of work. After experiencing the lost of his friend and artist, 30 Glizzy and being nominated for a Grammy all in one year. 2017, has been a roller coaster of emotions for the Southeast native. Records like "Take Me Away" and "Get Away" reflect Shy's vulnerability discussing the tough times that he's been through. "Dope Boy Magic" and "Haters Anthem" feed Shy's core fans that enjoy the rapper's signature street anthems that are full of energy. Shy Glizzy is one of the most stylish luxury street-wear trendsetters to hit the music scene since his 2014 smash debut, "Awwsome." The record put D.C. rap on the map and Glizzy at the forefront of hip-hop, even Beyonce performed to the record at the 2015 Global Citizen Festival. Since his time in the rap game, Shy has continued to feed the streets with his catchy, yet perplexing narratives like, "Funeral" and "First 48." Working alongside hip-hop superstars such as: Meek Mill, A$AP Rocky, 2 Chainz, Metro Boomin, and Gucci Mane, Shy developed a loyal fan base that took a liking to the rappers' high-pitch rapping and captivate storytelling. Along with putting the Internet in a frenzy after briefly changing his name to 'Jefe,' the self-proclaimed King of DC delivered career defining mixtapes like Law 3 and his most recent, The World Is Yours. Recently, DMV natives, Shy, Goldlink, and Brent Faiyaz came together for "Crew," which hit #1 at Urban Radio, earned them each a 2018 Grammy nomination for Best Rap/Sung Collaboration, and a performance spot on The Tonight Show Starring Jimmy Fallon. Quiet Storm is available on all digital platforms today. Take a look at Shy Glizzy's "Take Me Away" music video below!